1. 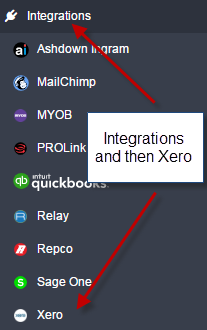 Click on ‘Integrations’ from the list of options on the left hand side of the screen and then click on ‘Xero’. 2. 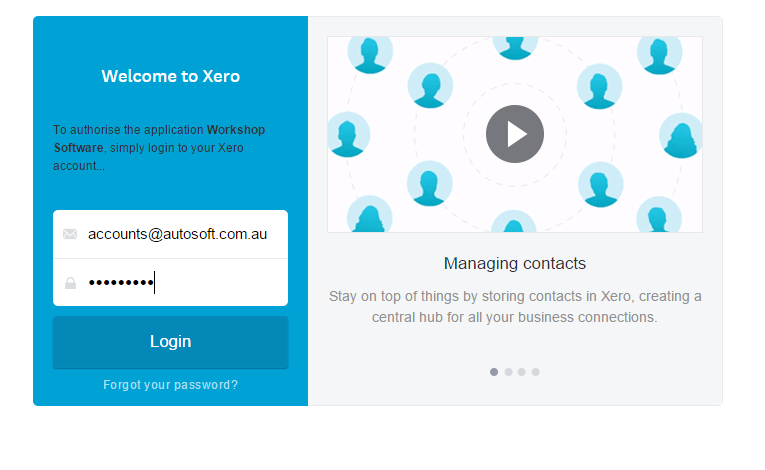 Click on green Authorize button at the right hand side, this will allow Workshop Software access to your Xero account. 3. Enter your Xero login details. 4. Click the green Authorise button to allow Workshop Software access to your Xero data. 5. Match the accounts in Workshop Software with the appropriate general ledger from your Xero chart of accounts, all accounts must have a corresponding Xero general ledger selected and all Xero general ledger accounts need to start with a number. You may like to consult with your accountant or bookkeeper to ensure the correct general ledger accounts are selected. Once done click on save. 6. You are now ready to sync Workshop Software and Xero. Click on the Xero icon at the top right of the page to do this. Syncing Workshop Software and Xero will send over any customers or suppliers you have entered in either software over to the other and depending on how much data is being synced it may take a couple of hours. 7. Once the initial sync has been done invoicing information will go from Workshop Software to Xero automatically.